Even before the days when online sports betting was just about everywhere that you turn, there was one sport which was attracting gamblers all over the world, horse racing. Personally speaking I have been gambling on horse racing for around 20 years and the advancement in online betting have taken gambling on this sport to the next level. I often speak to people who love to bet on football, rugby or even MMA, who tell me that they feel apprehensive about betting on horse racing. In my view though, I think that horse racing is one of the most fun sports to gamble on, and here is why. 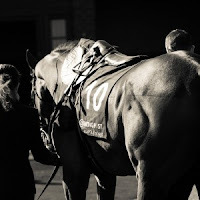 Slightly geeky but I absolutely love to study form guides ahead of the race, whilst studying form is not unique to horse racing, the form guides here feature a far greater amount of information, and factors to consider. For example we must consider the weight of the horse, the jockey riding it, the weather conditions and the length of the race, far more factors than in any other sport. Doing this much work beforehand means that if your horse does win, there is an even greater sense of satisfaction. 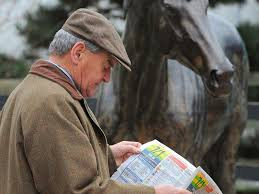 You can find info about racing form all over, and in particular, 188Bet's blog has an extensive section on horse racing. Unlike in a football match where there are only 3 possible outcomes in terms of winning and drawing, horse racing is different altogether and there are very often between 7 and 40 horses that enter a race. Within the race you could have horses falling at fences, a favourite not feeling up to it and you can very often see long outsiders romping home to victory. Every sport has upsets, but none has as many as horse racing which makes it so much more exciting to watch. Only in athletics will you find a straight race to follow, which always makes you feel excited. A rugby match will play out over the course of 80 minutes, and it of course has its ups and downs during that time. 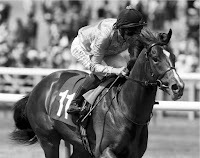 A horse race however is over and done with in the space of a few minutes, and it isn’t usually until the final furlongs that you get an indication as to who will actually win it. If you get long odds on a football game, it is likely that this selection will lose, but in horse racing that is not always the case. Take a look at the Grand National for example, over the last 5 years there have been winners at 66/1 and 100/1 including some 20/1 shots. This not only makes the races more exciting but gives you the chance to win some big money if you get it right.